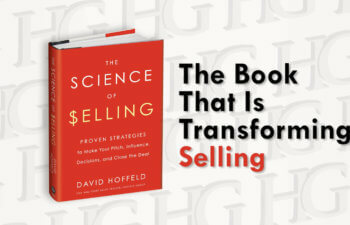 The Science of Selling is a different kind of sales book. What makes it different? It’s not based on my career in sales or best practices that I made up by evaluating a certain group of salespeople. Instead, it’s based on what selling should always be focused on – buyers. Well, more specifically what thousands of scientific studies have proven regarding how potential customers’ brains make buying decisions.